Gateway to America's First Western Frontier!!! Lying in the heart of the first Washington County in the country to be named in honor of the first United States President, this tour is great as a package with area haunted and historic Bed and Breakfasts, Grist Mills, Museums, Carriage Rides, and the Virginia State Theatre! 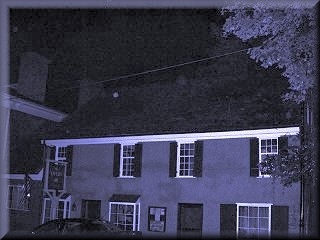 Who's red eyes are seen through the windows of the Abingdon Tavern late at night? Does Bob Porterfield still "manage" the Barter Theater from beyond? Who is the musician presenting the mysterious violin performances inside the Martha Washington Inn? The Tavern (1779) - Abingdon, Virginia Originally named Wolf Hill by Daniel Boone in the year of 1760, you'll be amazed by the mystery, Native American folklore, and legend wrapped in the true stories of history and science woven by your host. Get ready for an evening of enlightenment as you learn about the life and times of those long gone and apparently holding on to the present by virtue of their interactions with local patrons and business owners alike. If you dare, join your guide on a breathtaking walk through the "dark side" of Abingdon as we make our way around the historic district to visit sites which have been centuries in the making. While visiting this historic locale, be sure to take advantage of fine dining from The Tavern Restaurant, established in 1779, which is one of the oldest buildings in the Southeastern United States still being utilized and open to the public for business. You just might have an encounter with "The Lady of the Tavern", as we like to call her, who you'll hear more about during the tour. Then, you'll hear about the history and hauntings of the Martha Washington Inn, once listed on the Travel Channel as being one of the most haunted inns in America!!! Barter Theatre - Abingdon, Virginia In addition, we highly recommend that you make an attempt to time your visit so that you can catch one of the wonderful live plays at the prestigious Barter Theatre, the longest running professional resident theatre in America. The Barter's interior auditorium, in addition to other parts of the building, serve as a home for many mysterious happenings which we will again share with you during the GhostWalk. You just may run into Mr. Porterfield yourself while you're there, especially if it happens to be opening night! This full-day experience showcases the best that Southwest Virginia has to offer. Ususally starting before noon, you might begin your day (seasonal) with a tour of one and possibly two very old haunted and historic grist mills. While learning about the history and later on, the experiences and findings of our investigators, you may enjoy an optional light lunch with some great old fashioned bar-be-que along side a working waterwheel! Then, you're on your way to tour one of the most breathtaking caves in Southern Appalachia. No ghost stories here, but scenery to stagger the imagination and boggle the mind. The amazement continues with the "Haunted Historic Bristol GhostWalk" where guests will visit, amongst many other historic structures, one of the most famous haunted and historic train stations of the South. Bristol is known as the "Birthplace of Country Music" and is rich in early frontier history. It was also high up on the list of the top twenty-five vice cities in the Nation according to an early issue of "Look Magazine". You simply have to hear Bristol's story! Following dinner at a unique area restaurant with great food, fun, and a comfortable atmosphere, you'll be transported off to tour both our oldest town and tour - the "Haunted Historic Abingdon GhostWalk". Enjoy a fantastic dessert, snack, or coffee as your guide begins to weave the chilling tale of a town whose name finds its origins in England. 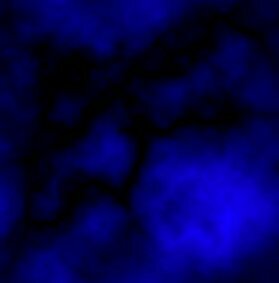 Your finale will include the legendary hauntings and exclusive investigative findings of a Travel Channel "Most Haunted Inn in America"! This tour package concludes at approximately 11 PM. Browse the full details of this and other tour packages as well as create your very own haunted vacation securely online by CLICKING HERE, or call (423) 743-WALK (9255) to speak with a reservations specialist. Use the following directions to Appalachian GhostWalks' "Historic Abingdon Virginia GhostWalk" if driving from Pigeon Forge and Sevierville, Tennessee just a short distance by way of Interstate 40 East and Interstate 81 North to the "Barter Stage II Lounge". Directions to the "Historic Abingdon Virginia GhostWalk"
From Highway US-441 take Highway 66 North for 8.47 miles; Merge onto Interstate I-40 East for 13.77 miles; Merge onto Interstate I-81 North toward the left toward Bristol, TN; Take Exit 17, or Highway VA-75, or Highway US-58-ALT toward Abingdon for 0.21 miles; Turn LEFT onto US-58 ALT/VA-75/CUMMINGS ST SW. 0.8 miles; Turn RIGHT onto US-11/W MAIN ST/LEE HWY. 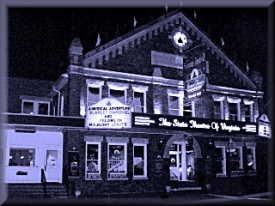 0.2 mi; End at "Barter Stage II Lounge" located at 110 West Main Street, Abingdon, VA 24210; Total Estimated Time: 1 hour, 59 minutes; Total Distance: 120.73 miles... Hope to see you soon on our oldest tour!!! I just wanted to send a note to say that our Appalachian Caverns and Jonesborough tours and were both very enjoyable and also extrememly educational. We would love to experience more of the tours you have and would really like to attend your Ghostology 101 Class. I just wanted to thank you for this one of a kind experience. We had so much fun and it is still fun after the vacation as we keep looking over some of the awesome photos that we got while on the Dandridge GhostWalk. Can't wait to come back and do another tour! - Rob G.
I just wanted to tell you that we all really enjoyed the Abingdon GhostWalk. We would also like to do some of the other tours in the future! Michael was great!! Thanks so much!!! We have taken other tours all across the country and recently took the Jonesborough Ghost Tour with Appalachian GhostWalks. Following the tour, our family unanimously agreed that this ghost and history tour was better than the haunted tour of the Queen Mary that we took in California! We spent five days with you on vacation doing several of your tours. We just wanted to take a moment to express our appreciation for all your kindness and the wonderful work you are doing. This has been an experience we'll talk about for a long time to come. Hope to join you again soon!